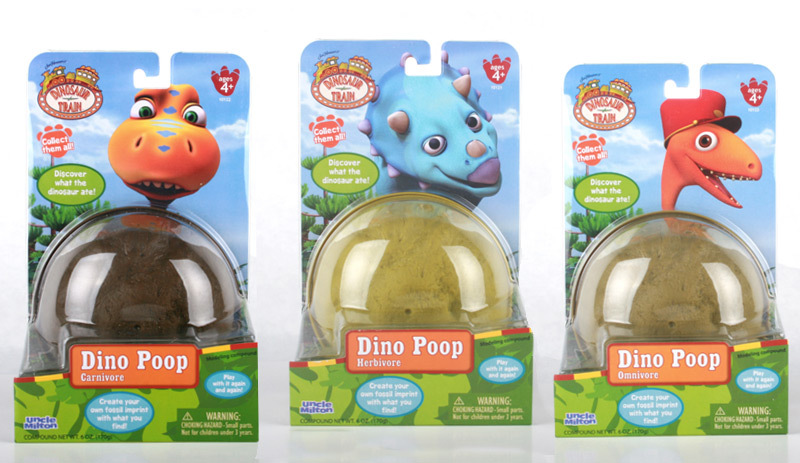 Win Dinosaur Train Educational Toys Prize Pack! My sweet boy had so much fun with these toys- I have to tell you, the Hatchers! 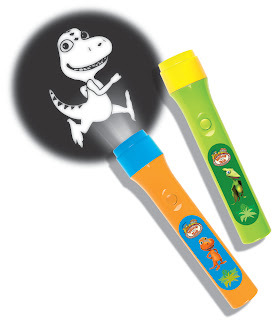 and the Mini-Dino-Projector (flashlight) were his total favs, but don’t count out the Dino Poop or the Dino Tract Discovery Pack! The Hatchers! were super fun, and a cute twist on those little sponges that you put in water in capsule form- you know, they grow into little shapes. This was so much better! Not only was it a fun friend from the show Dinosaur Train, but it really did come out of the egg. Tiny was really well done, and started popping out of her shell after just a few hours. Then it kept breaking off, until she was all out. She grew bigger and bigger in the water, and grows to 4 times the “dry” size. Once out of the water, she started to shrink. When totally dry, she became smaller then the palm of your hand. 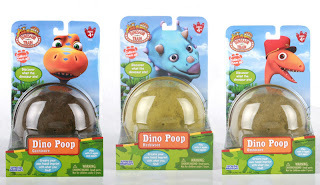 The Dino Track Discovery Pack is adorable- whose tracks are these? Buddys, Tiny’s, or Tank’s? Learn about the dinosaurs that made the tracks as you go along and try to figure out who made them. There is a surprise at the end, as well! The Mini Dino Projector was one of Little Man’s favorites, and he has so much fun with it. It has 6 interchangeable disks, that show different dino scenes. 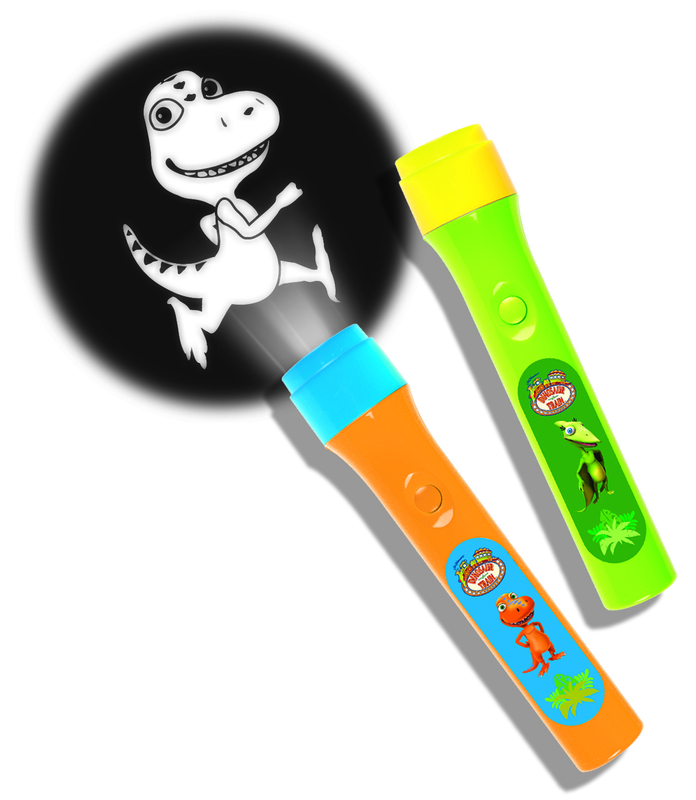 Have fun with Buddy and Tiny as you project them on you wall with the Mini Dino Projector! Project T. rex and Pteranodon footprints on your floor. Even surprise your friends and family with the big dinosaur image. And use the train image to take a ride on the Dinosaur Train! Little likes to “scare” mommy with the dinosaur images- they creep up on me and bite me, its oh-so-scary, and makes Thor and Cooper ride the Dinosaur Train shadows with the dinosaurs. My kid, what can I say…..
You can buy any of the above mentioned toys here for your child! So- Here is Prize Pack #1 for you! Leave me your email so I can contact you if you win. In your comment, please. -“Like” me on Facebook -feel free to give me some comment love! 🙂 This is not mandatory, and Facebook is in no way sponsoring this giveaway. DISCLOSURE: I received the above products for review, all opinions are my own and honest. Yours may differ. I am disclosing this in accordance with the Federal Trade Commission’s 16 CFR, Part 255. No purchase necessary. Void where prohibited by law. Open to US shipping addresses only. Limited to US residents; 18 years old and above. Sponsor is responsible for providing and mailing prize. Ends July 22, 2011.
signed up for uncle milton’s newsletter. 7/22 Voted today for you on Picket Fence Blogs. I am a fan of Uncle Milton via Facebook as Jill Myrick. I am a Uncle Milton Newsletter subscriber as jweezie43[at]gmail[dot]com. Entered your Nerf Dart Guns giveaway. commented on the site reconstruction post. voted for you on W.O.T. F.
1.Follow on Twitter and tweeted. 2.Follow you on facebook and left some ♥ while I was there. 1. Follow you on facebook and left some ♥ while I was there. Follow Uncle Milton on Facebook- I pimped you while I was there. I entered your Melissa & Doug prize pack giveaway. I entered your Cars 2 giveaway.